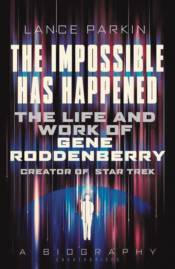 This book reveals how Gene Roddenberry, an undistinguished writer of cop shows set out to produce 'Hornblower in space' and ended up with an optimistic, almost utopian view of humanity's future that has been watched and loved by hundreds of millions of people around the world. Parkin examines some of the great myths and turning points in the franchise's history, and Roddenberry's particular contribution to them. He will look at the truth in the view that the early Star Trek advanced a liberal, egalitarian and multi-racial agenda, chart the various attempts to resuscitate the show during it's wilderness years in the 1970s, and shed light on the colorful personal life and strange beliefs of a man who nonetheless gifted popular culture one of its enduring mythologies.